Chief Justice Ma was appointed Chief Justice of the Court of Final Appeal on 1 September 2010. 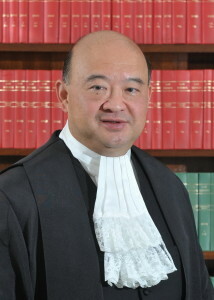 Chief Justice Ma was born in Hong Kong in 1956. He studied law and graduated with an LLB from Birmingham University in 1977. After completing the Bar Finals in 1978, he was called to the English Bar (Gray’s Inn) in 1978, the Hong Kong Bar in 1980, the Bar of the State of Victoria in Australia in 1983 and the Bar of Singapore in 1990. He was appointed Queen’s Counsel in 1993. He became an Honorary Bencher of Gray’s Inn in 2004. In 2011, he was admitted to the degree of Doctor of Laws (honoris causa) by the University of Birmingham. In 2012, he became an Honorary Fellow of Harris Manchester College, Oxford. In 2016, he became an Honorary Bencher of the Middle Temple and was admitted to the degree of Doctor of Laws (honoris causa) by the Chinese University of Hong Kong. Chief Justice Ma was appointed a Recorder of the Court of First Instance from 2000 to 2001 before his appointment as a Judge of the Court of First Instance in 2001. He was appointed a Justice of Appeal in 2002, and became Chief Judge of the High Court in 2003. Before joining the Judiciary, Chief Justice Ma was in private practice in Hong Kong and in Singapore. Chief Justice Ma is a Patron of the Bingham Centre for the Rule of Law; he is also a Patron of the International Advocacy Training Council. Chief Justice Ma was awarded the Grand Bauhinia Medal in June 2012.